If you’re left sitting in the cold, even with your heating on maximum, it could be a problem with your radiator heat output. And with the average heating bill costing around £1100 a year, a poorly balanced heating system is going to cost you dearly, too. But why suffer in the cold if you don’t have to? We’ve got five tips to help you balance your radiators and get them working at top efficiency again. If you want to be sure about your radiator heat output, turn your heating off, and let it cool down completely. Starting cold means you can evaluate all of your radiators at the same time. Don’t just set your thermostatic radiator valves to zero, either – switch your heating completely off. You should check whether there’s any air circulating in your radiators that could be impacting on your heating performance. To do this, you need a radiator key handy. Insert the key into the appropriate valve at the top of your radiator and turn it anticlockwise until any air escaping ceases. Why not print off this step by step visual guide to bleeding radiators from uSwitch to keep handy as you go around each room? If you’re trying to check your radiator heat output, you can’t really do that effectively if your heating valves aren’t completely open. With this done, you can rebalance your radiator heat output as if the system was newly installed. Thermostatic and manual radiator valves are easy enough to open, simply turn anticlockwise. On the other side of the radiator to these, you’ll have a lockshield valve with a cap you can’t turn by hand. You’ll need to take the cap off and manually open it with a spanner. You want to be sure you’ve got the correct heating order, so as to know the correct setting for each radiator valve to be opened at. You’re also going to need an electrical thermometer or two to help you balance each radiator. Find the first radiator to start warming up, turn the lockshield valve clockwise (closing it), and then open it again a quarter full. With a thermometer on both sides, open up the lockshield valve until there’s around a 12 degrees Celcius difference between them. 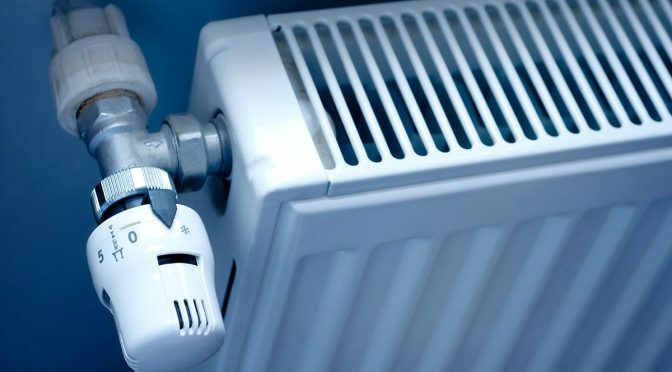 Following the order of heat (heading away from the boiler), open up the lockshield valve further on each radiator, until it’s completely open on the radiator furthest away from your boiler. Sometimes, the simplest fixes can have a massive impact. If you’ve neglected your heating maintenance, rebalancing your radiators could massively improve the heating in your home. If you’ve got any substandard radiators in your home, it might be time to think about a replacement. If you’re thinking about replacing a radiator but don’t want to hire a plumber, take a look at our how-to guide. If you’re unsure about anything, consult a qualified heating engineer. At Bathroom Radiators UK, we’ve got a full range of products and advice to share. Why not take a look at some of our other helpful guides, and if you’ve got your own tips to share, why not leave one in the comment section below? Previous PostHow to Prevent Home Radiators From Leaking or RustingNext PostRadiator Positioning: Where’s the Best Place to Put Your Radiator?